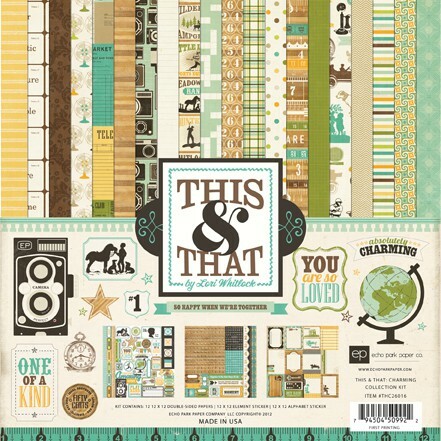 Congrats to JamieH, she's won a spot in Shimelle's new class, The Hitchhiker's Guide to Scrapbooking over at 2Peas. Jamie, please email me and I'll set your access into the class. Thanks everyone for your comments! Larger photo + supply list here. And here's the full page reveal. This is a really clean and graphic page for me. I wanted that blue focal point photo to really pop and what better way to do that than on a stark white background. I cut the hearts out with the Silhouette and I love how it handles these intricate cuts. 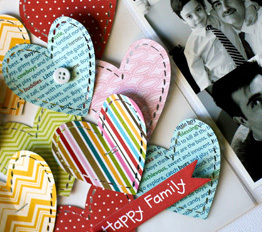 The shape is called stitched hearts - it's a favorite! I layered a bunch of hearts on a square sheet of vellum, added pop dots underneath so they didn't look flat and then embellished with the tiny attacher, buttons and a sticker. 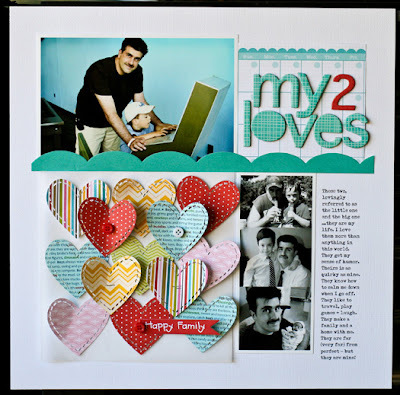 This page came together really quickly and I was able to finish it in about an hour - that's super marathon scrapbooking for me! 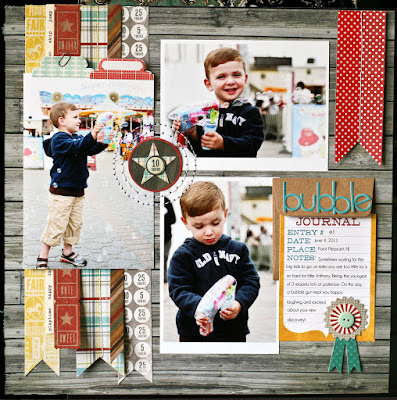 This layout will be coming soon to the 2Peas gallery and is all bright, pretty Bella Blvd. I can't wait to show you the rest! These are on my desk right now. I'm busy sketching and dreaming up ideas to use with these. Pages coming soon. There's a new workshop over at 2Peas, taught by our very own Garden Girl, Shimelle Laine. 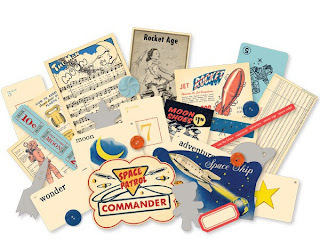 The instructor who brought us the classic "Journal your Christmas", is at it again with The Hitchhiker's Guide to Scrapbooking. 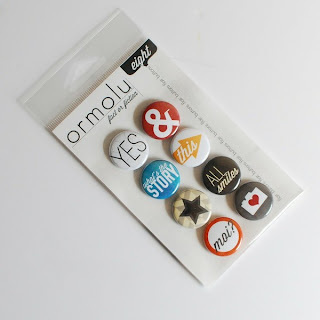 I'm so happy to be giving away a spot in her workshop today! Click here for pricing and sign up! 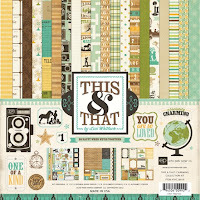 Are you drowning in a sea of scrapbook supplies and a plethora of photos, but wish things just came together easily? 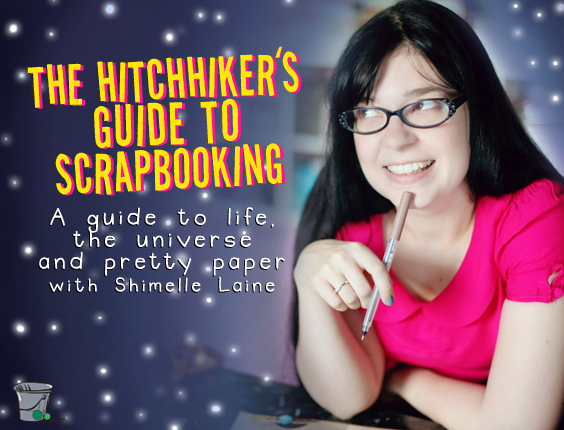 Then The Hitchhiker's Guide to Scrapbooking is just what you need: your guide to life, the universe and pretty paper! 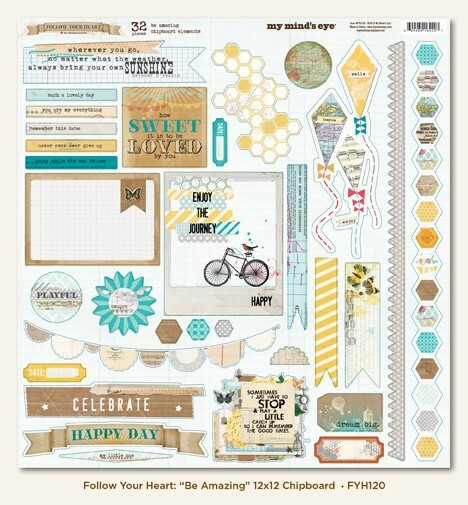 Join Garden Girl Shimelle Laine for this self-paced workshop you can use any time. 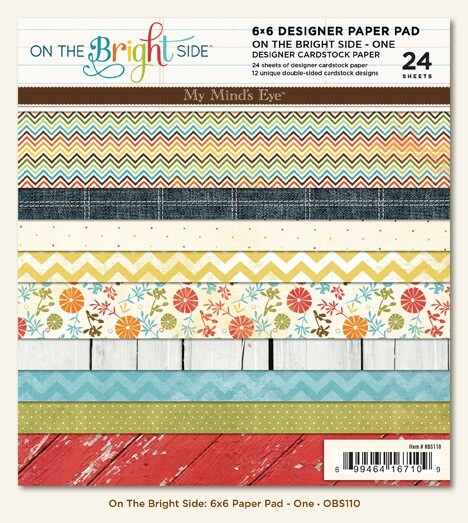 Over five chapters, she'll share forty-two brand new scrapbook pages and easy-to-follow advice on choosing supplies, designing pages, embellishing your work and writing your memories. 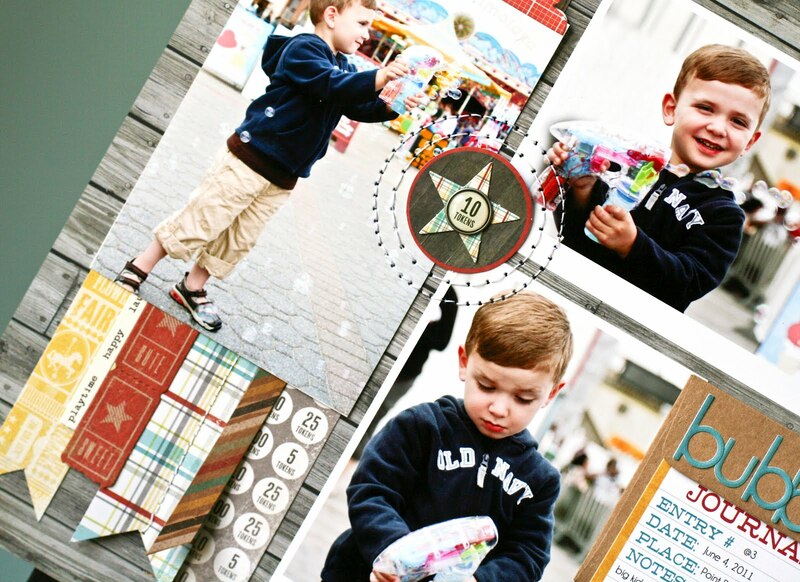 Each chapter includes a printable PDF and coordinating video, plus the guide's bonus reference section includes sketches, supply lists and other handy hints. Designed for scrapping at home or at a crop, The Hitchhiker's Guide to Scrapbooking reminds you: Don't Panic - get crafting! 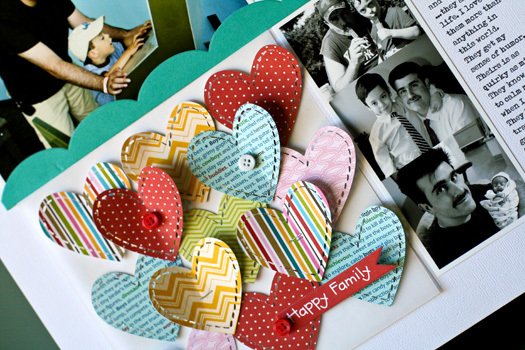 The content of this workshop will be available beginning Friday, February 21st at noon CST. The lessons are available for you to work at your own pace and upon purchase can be accessed in the Workshops section under Classes & Events. A private message board forum is also available to ask questions for Shimelle and to connect with other participants. The giveaway starts today! Just leave a comment and I'll draw a winner on Saturday, February 25th @ noon EST. And if you sign up today and win - NO WORRIES. Your class fee will be refunded or you can pass it on to a friend (your choice). Best of luck! 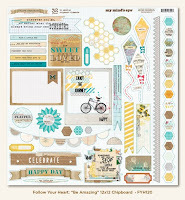 Please hop on over to Shannon Tidwell's blog for another edition of the Gardener's Digest (and another chance to win). Time to spend some time blogging! I've been so busy creating and filming that I haven't been around much. So tonight I sat down and scheduled out posts for the next long while. I miss sharing (and talking to myself) here. Ha! Click here for a list of products used. This page is about our youngest nephew and his first bubble gun. The pictures are from a day spent on the boardwalk last year. The poor little guy spends so much time waiting around for the 'big kids' to go on rides that he's too short for. On this day though, he was happy with his discovery of the bubble gun! I love the stark contrast of the dark wood and then the bold, bright patterns of My Mind's Eye Miss Caroline line. I added a small envelope to ground part of the title and a journal card for a short story. The stitched circles in the center add that 'little something different' that I'm always looking for. Understated, but draws the eye right back to the photos. I can't wait to see the full reveal. I'm also going to check out the products you posted, loving the SC chipboard. Julie, please send me your email address and I'll have that 2Peas gift certificate right out to you. Thanks for your patience! I'll be back tomorrow with some Valentine's love. It's not too late right?